Born out of passion and necessity, WOW Wipes was founded by two hard working friends, Jarred Lawrence and Rob Maclachlan. These two mates crossed paths whilst networking as Fitness Club owners and have since developed a disruptive innovation sweeping through Australian businesses? Jarred and Rob’s vision for the WOW Wipes concept emerged from their shared history in the health and fitness industry. 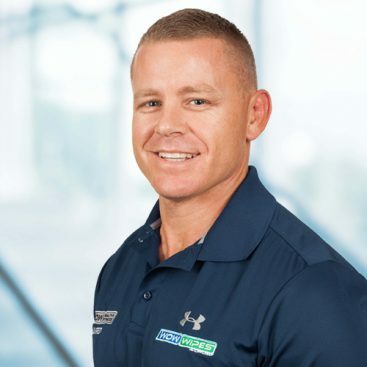 Jarred’s career began as a professional Rugby League player, followed by a successful corporate career in Canberra. His passion for health and fitness drove him to open a Fitness Club alongside his wife Rachel on the Sunshine Coast. 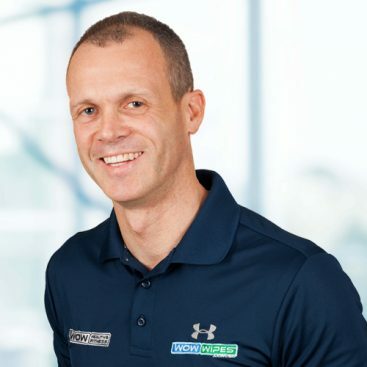 Rob’s professional career began as an Exercise Physiologist after graduating with a degree in Exercise Physiology. Rob’s role evolved into venue management before moving into leisure centre contract management, followed by some years working for local government. Rob also decided to pursue his passion by opening a Fitness Club in Brisbane, which brought the two friends together for the first time. Due to the growing demand of WOW Wipes nationwide, both Jarred and Rob are now committed to WOW Wipes full-time. Even with its expansion, both men strive to maintain their adventurous and hands-on spirit similar to the early days working out of Rob’s suburban garage. Jarred and Rob are both very familiar with meeting the needs of Australian business owners and operators. It is this understanding and connection that continues to drive them to innovate and develop high quality, yet affordable products. Having adhered to the guiding principles of outstanding product quality and incredible customer service, it is these same two tenets which will continue to be the foundation of WOW Wipes into the future. It’s Jarred and Rob’s mission to make your WOW Wipes is experience amazing from the beginning. If you’re interested in bringing WOW Wipes to your business or home, feel free to contact the guys today via landline, mobile or email. For more information, take a look at our WOW Wipes FAQ’s page or subscribe to our newsletter for latest content and offers! We believe that customer expectations are rapidly moving on from the days of spray bottles and paper towels. Our WOW Wipes cleaning system will add a level of professionalism that customers will appreciate, and increasingly demand. Hello, I want to thank you for creating a great product! The feedback from our gym customers has been positive and we are always looking for ways to improve our users experience. A clean gym is a healthy gym! We couldn’t agree more, we have been very pleased since we started using your gym wipes and our customers love them. Thank you for introducing us to your antibacterial wipes system. They are so convenient and easier than using spray bottles with paper towels.